During Spring Training this year, I took a trip to Disney’s Wide Word of Sports complex with my buddy Ryan Shute to see the Braves practice. The Upton brothers were newly acquired and the prospects were highly touted. We made it an obligation to check out catching prospect, Christian Bethancourt, and the top two pitching prospects, Julio Teheran and J.R Graham. Fortunately, we were able to see all three during practice. After practice we were able to meet J.R Graham. He made sure that every fan waiting around at the end received a handshake, autograph, and or picture. The guy is truly a class act and fan friendly by all means. I had the privilege of keeping in touch with J.R and he agreed to a Q&A. He and Bethancourt are currently playing for AA (Mississippi Braves). Teheran is in the rotation for the big league club with Atlanta in the MLB. Look for both Graham to make the big league roster out of spring training in 2014. Question) Young kid playing baseball at Livermore High School being drafted by the Oakland Athletics which is within an hour away from Oakland-Alameda County Coliseum. Did you grow up an Athletics fan being that close to the stadium? Graham) I would say I was an A’s fan growing up. I went to more of the games at the coliseum (Oakland), but I know I had a short stint when I was really young being a Giants fan. I was a Bay Area baseball fan. Each team had great players and were fun to watch. Question) Why did you decide not to sign after being drafted in the 46th round by the A’s in the 2008 draft? Graham) I was recruited a lot in hs (High School). Lots of pro scouts at every game. I told everyone from the beginning not to draft me, I was going to honor my scholarship to Santa Clara no matter what. I wanted to get the college experience. I was hoping to get a chance to compete in the NCAA regionals and even a college World Series. Unfortunately, that didn’t happen, but it made me grow up a lot and I would recommend it to an aspiring baseball player. Question) Considered Long Beach State and Stanford among others, before committing to Santa Clara University. What went into this decision? Do you have any regrets? Graham) Santa Clara is a beautiful school with great academics. I wanted to stay close to home so my family could see me play. The year I committed to SC they were a game away from making the playoffs. It seemed like a team on the rise and I wanted to be apart of that. I had my ups and downs and struggles throughout my career their, but it shaped me to be the ball player I am now. I have no regrets. Question) Being a pitcher and an infielder growing up (mostly shortstop), did anybody try influencing you to choose one over the other, or was it your decision to ultimately concentrate on pitching? Graham) No one influenced my decision. A lot of scouts said it was a waste of my arm to be at ss (shortstop). But I could swing it a bit and wanted a shot to play because I loved both. In college it took a toll on my body. I’d basically have double duty in practice and conditioning everyday and both suffered. So I needed to make a decision. Either be average at both or be great at one. I put in a lot of thought and talked with my family and some former coaches and decided that pitching was the way to go. Question) Andrelton Simmons (shortstop), was the 12th player in Mississippi Braves history to be promoted directly to the Atlanta Braves on May 31, 2012. 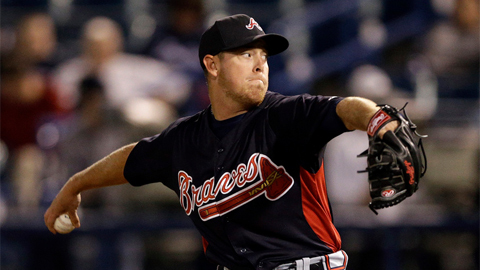 Is this a goal you make for yourself each time you step onto the mound for the M-Braves? Graham) Yes, I think that is everyone’s goal to get to the big leagues. But I don’t put I lot of thought into it. It’s a goal of mine, but I go out and worry about pitching. I do what I do an whenever they need me in Atlanta I’ll be ready for the call. Question) In 2010 pitching in the Northwoods League your velocity was ranging from 92-94 mph. By spring, scouts reported your velocity gaining another 4-5 mph. In that stretch between summer and spring, what did you do specifically to add the extra zip on your pitches? Graham) Not too much changed. I kept working hard in the weight room and working on being explosive. Question) The Yankees created the “Joba Rules” for Joba Chamberlain, where every inning he pitched in relief he received an additional day off. The Nationals limited Stephen Strasburg in innings pitched as a starter. Both were cases of their organization trying to protect highly touted young players for the future of the franchise. Since you have both started and relieved, can you see a rule like this applying to you one day in the big leagues because of the hard throwing arm you have like those two pitchers do? Graham) I hope not. I want to pitch. If I’m a reliever or a starter it doesn’t matter. I want to pitch and help the team win any way I can. 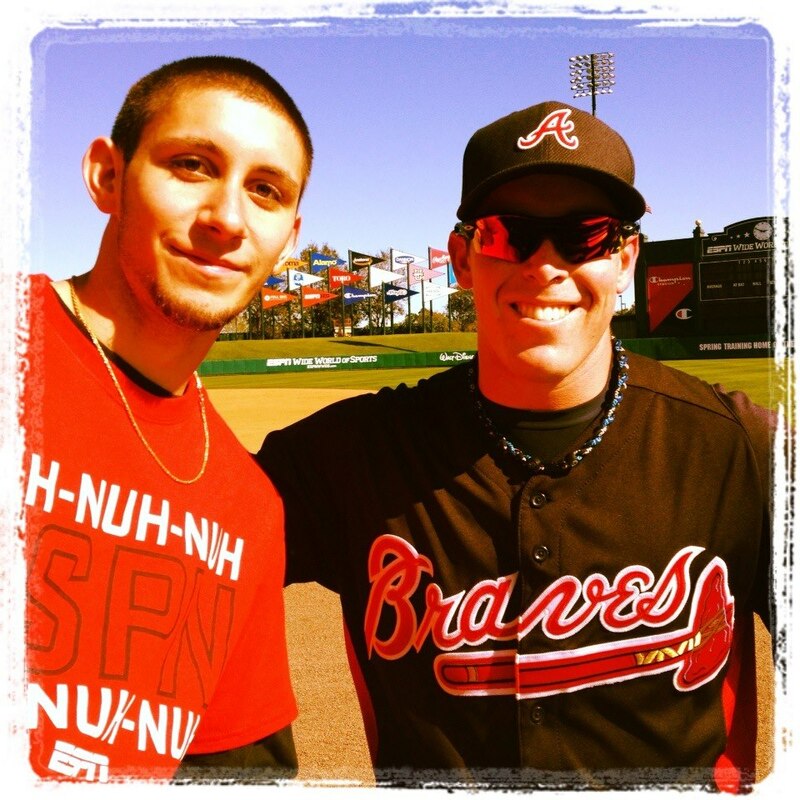 Question) Entering the 2013 season you were one of the Braves top 5 prospects in the system. Does this add pressure to your appearances, or do you look at it as a motivator? Graham) No pressure, it is nice to get recognized like that, but I don’t pay much attention to it. I just focus on what I do. Question) Was there ever a moment where you thought you would be included in the trade with the Diamondbacks for Justin Upton? They were said to have been eyeing you, but the Braves ended up adding pitching prospect Randy Delgado to the deal. Graham) I was keeping my fingers crossed that I wasn’t going to get traded, but a funny story; I was throwing in Atlanta at the time and Frank Wren (Braves GM) comes up to me and tells me, “You need to get out of that locker, no one ever stays long in that locker.” That night I read the Braves and Arizona made a trade, so my brain was going crazy. Question) At the end of the day do you prefer to be a relief pitcher, or a starting pitcher? Graham) No preference, they are both awesome and both unique. I’ve done both and like both.